Dr. Carole M. Newton was a professor emeritus at UCLA Medical School where she had taught since 1967. Carol was born in Oakland in 1925. When Carol was born the world, especially for women, was vastly different than today. She grew up during the Great Depression, and then, even though she was extremely bright, college for women was generally only for three fields: Teaching, nursing and the arts. Carol was a genius in math, a field almost entirely dominated by men. But that didn’t stop her. Receiving her B.A. from Stanford in physics in 1947, Carol stayed to earn her PhD in high-energy physics. She then went to medical school at the University of Chicago. As a med student, she worked as an associate scientist at the university’s Argonne Cancer Research Hospital and was among the first to investigate the use of analog computers in biological sciences. Receiving her M.D. in 1960, Dr. Newton went on to intern at the University of Chicago’s Billings Hospital. In 1963 she began her teaching career as assistant professor in both medicine and mathematical biology at the University of Chicago. In 1967 she came to Los Angeles, having been hired as an associate professor of the Department of Biomathematics and assistant director of the Health Sciences Computing Facility at the UCLA School of Medicine. 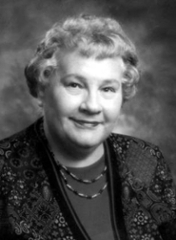 Remaining there throughout the rest of her career, Dr. Newton was professor of radiological sciences and biomathematics and chaired the Department of Biomathematics from 1974 through 1985. She spent a life breaking barriers and following paths beyond those typical for a woman in her era.